So you’ve decided – you want to take a trip to Africa. Great choice! Africa is an interesting continent to head to, being home to numerous countries, all with distinct identities, cultures, and attractions. For the first-time visitor, it might be hard to decide which country to book a plane ticket to. Let me try to help you. Here are some suggestions for which African country to visit, depending on your interests. Who doesn’t know about Egypt? This is the land of the pharaohs and mummies, home to centuries of history. It’s where you’ll find the only surviving wonder of the ancient world, the Pyramids of Giza. Egypt also has incredible temples scattered all over the country, from Luxor to Abu Simbel. You can also see Egypt’s more modern face in the capital of Cairo, as well as its charming Islamic quarter. If you’ve always wanted to be an archeologist, then Egypt is your best bet. It only takes you an hour by ferry to get from the tip of Spain to the city of Tangier. This proximity has had an effect on Moroccan culture, which may make some aspects of it familiar. Apart from French, some Moroccans may also be able to communicate in Spanish. The influx of tourists also means that Morocco has sufficient tourist infrastructure for any budget. This country may be the perfect choice to those who’d like to experience Africa at their own pace. Tunisia has been blessed with a wonderful Mediterranean climate, as well as stunning coastlines. The country’s tourism industry is aware of this; hence, the accommodation choices are varied for Tunisian resort towns such as Sousse and Hammamet. Scuba divers also enjoy Tunisia’s clear waters and abundant marine life. Don’t forget that Tunisia is also home to the ancient city of Carthage; you might want to pay that a visit afterwards. Did you know that Lucy the Australopithecus, possibly the earliest ancestor of modern-day humans, was found in Ethiopia? You then start to realize just how storied and colorful this country’s history is. Add to that the fact that Ethiopia was never colonized – this feat is truly unique in the continent. Journey to the supposed location of the Ark of the Covenant, or check out the rock-hewn churches of Lalibela; this is not surprising, as Ethiopia is one of the oldest Christian nations in the world. You’ll be in awe at what this country has in store for you. The fourth largest island in the world is a haven for both botanists and zoologists; isolation has led to the development of unique species of flora and fauna. According to the World Wildlife Foundation, almost 90% of Madagascar’s plants can’t be found anywhere else on the planet. You can spend your time looking for aye-ayes or different species of lemurs. Gawk at the baobab trees, six species of which are only found in Madagascar. A trip to the country’s national parks will show how incredible evolution really is. The history of the African continent is undeniably linked to the slave trade conducted centuries ago, which led to millions of Africans brought to both Europe and the New World, or the present-day United States. If you’d like to learn more about slavery, Ghana has a concentration of forts that were used as trading centers for slaves. This includes Cape Coast Fort, the largest slave-trading center in West Africa. While this may be a painful part of history, it may be a necessary trip to ensure that mistakes of the past are not repeated. A safari can be an event that happens only once in your lifetime, so you want to get the best views in the house. 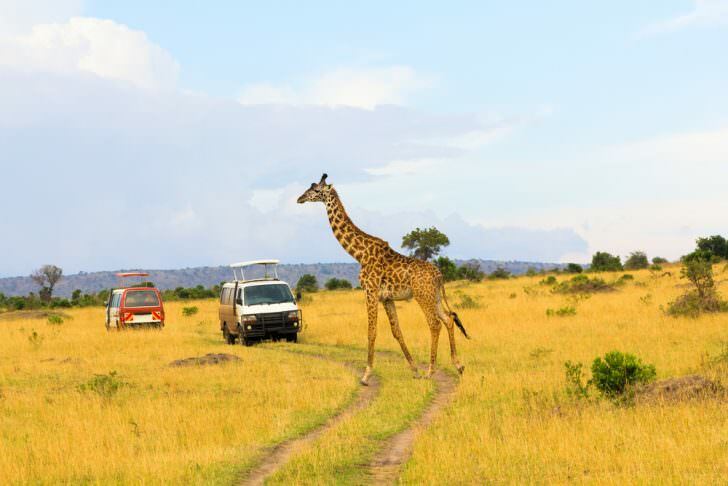 Why not plan to have your safari in the Serengeti in Tanzania? You’ll be able to spot the Big Five – lions, leopards, elephants, buffalos, and rhinos – in this national park. If you plan your trip right, you can even watch the great migration of millions of wildebeest to the Maasai Mara National Park in Kenya. You won’t forget this experience. You have one of the most beautifully located cities in the world, Cape Town, in the southernmost country of the continent. You also have Kruger National Park, where you can go on safari. There are wineries you can visit, interesting museums about apartheid, and tours to Robben Island – where Nelson Mandela was held prisoner for almost 20 years. Oh, don’t forget about the penguins. South Africa will offer all these amazing experiences, so that you’ll want to keep coming back to Africa over and over again.